Can you go cashless buying eggs at your favourite markets in Asia? 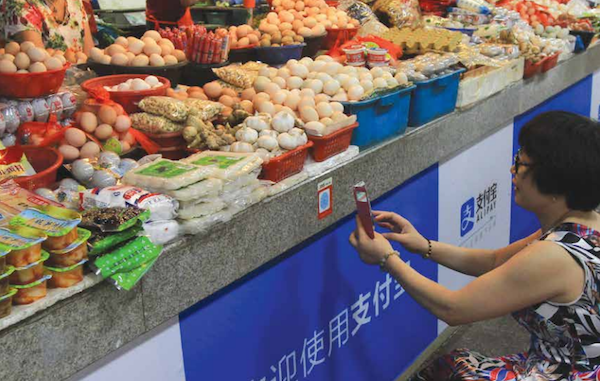 Check out this picture (from the report) of a wet market eggs seller equipped with Alipay for payments! Can ‘cashless’ be a reality for Southeast Asia’s many cities and markets?! As governments and businesses worldwide look to boost financial inclusion and growth, the power of digital payments is becoming increasingly apparent. Notably in poor communities, digital payments are proving to be an effective way to open up new economic opportunities and markets for individuals and small businesses. …. 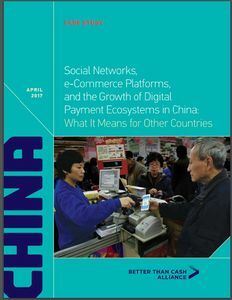 To help businesses and policymakers in other countries learn from these experiences in China, this report focuses on two major Chinese companies that have built on their existing e-commerce platforms and social networks to drive the uptake and usage of digital payments significantly, and support broader financial inclusion and economic activity. At GPS 2017, Zennon MD of KapronAsia, one of the authors of this report will jointly discuss key findings of the report with representatives from UN.